It was something we had but it has been taken from us. When we were very young and the world was new to us we craved knowledge. We wanted to know everything. Not only did we want to experience the world we wanted to become experts at it. 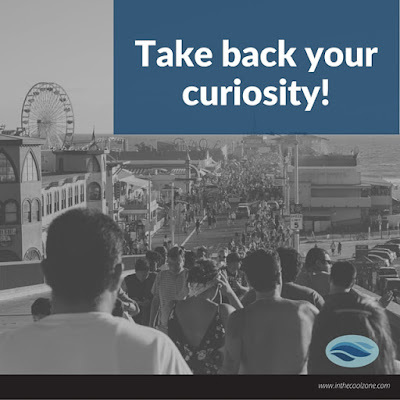 However, our culture is designed to drive curiosity from us. We have been shamed, intimidated, frightened and physically exhausted into mental submission. Even though we may still learn. We are not thinking. We are slaves to our culture. We are not curious. As a society we have become mediocre in in the mind. We have lost our fortitude for curiosity, creativity, innovation, adventure and discovery. We did not just get old. We did not just get comfortable. We have given our minds over to this world. With the Lord's authority I say this: Live no longer as the Gentiles do, for they are hopelessly confused. Their minds are full of darkness; they wander far from the life God gives because they have closed their minds and hardened their hearts against him. They have no sense of shame. They live for lustful pleasure and eagerly practice every kind of impurity. Have you ever asked, "What should I study in the bible?" Getting started is generally our biggest challenge. It doesn't take too long to discover that there is a vast landscape of topics to dig into. In fact, the more you learn, the more you will realize how much you don't know. So where to begin? What is interesting about God and His Word to you? That's what you study! Is it faith? Is it prayer? Is it God's plan? Maybe it's creation or prophecy in the scriptures. The best place to start is the very thing that is on your mind. Revive your curiosity about the Lord and run with it. God hears you. He is with us constantly. Yet somehow when we talk with Him we can get the sense that He doesn't hear us. Most of this is because we don't see Him nodding back at us saying, "Oh yea, sure I hear you. I'm on it." Have you ever had the sense that you didn't ask the right thing? or ask the right way? or use the right scripture? This may be because you didn't get a typical acknowledgement. Most of the time when we make our requests we know God's Word concerning our situation or we can quickly look it up. Then we make our prayer but never get the instant satisfaction of acknowledgement. At least not in the ways we are accustom to be acknowledged. With a friend we get the reassuring, "Ok" or "I heard that" or "I'm with you." It's kind of annoying if they don't let you know they heard you. With the Lord we merely have his Word. Merely? Ha! Well His Word is better than a hearty, "You betcha!" So let's think like Jesus thinks and recognize that His Word is more sure than a "you betcha!" Wisdom is an important concept to thinking like Jesus thinks. 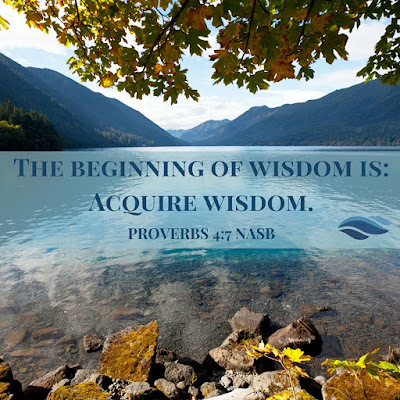 Praying for wisdom has been taught in a way that creates problems and encourages doubt. 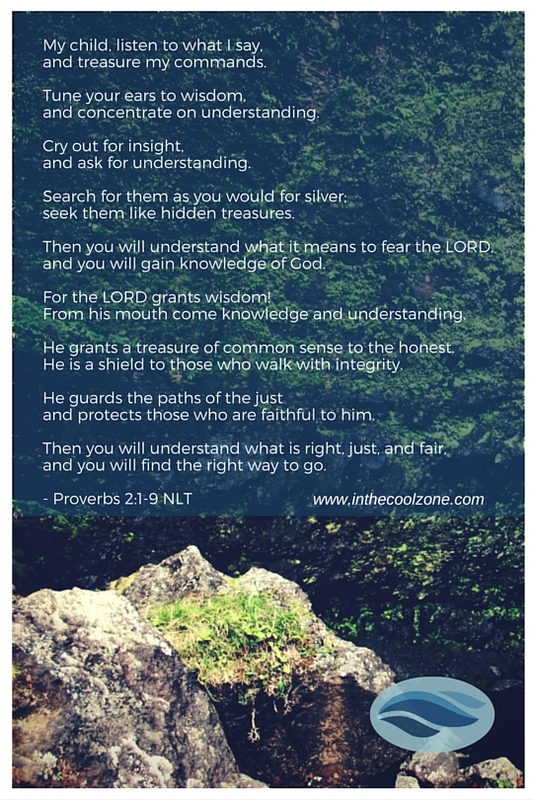 Should we pray for wisdom? Oh yea sure you betcha! On the subject of praying for wisdom the scriptures encourage us to ask our Father for wisdom and He will give it to us generously. 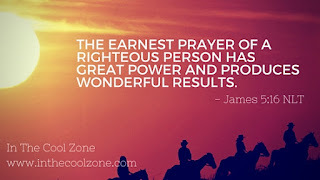 "Be careful when you pray to the Lord for wisdom. Look out! There are going to be problems coming your way. If you want the wisdom, you are inviting a storm and will get hammered so you'll really understand." Our Father most certainly did not ask us to pray for wisdom so he could pound us into dust and we would have to learn the hard way. 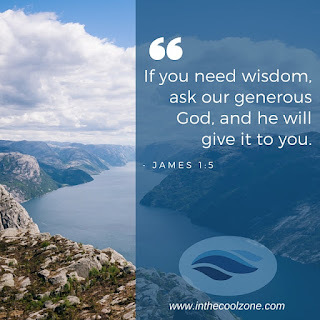 He told us to pray for wisdom so the Holy Spirit could provide the solution to problems we both have now and for the challenges that lie ahead of us. Can you pray? Yep! Do you have time? You have all that there is! Write it down! It's just as natural to read your list to the Lord as it is to pray from the hip. The added bonus is you can nail the scriptures and remember everything you wanted to pray about. When your prayers are organized and it's all in front of you it makes for an energetic and efficient experience. Can it feel robotic. Yea, a little... at first. However, your approach is one of sincerity and the Lord knows what you are doing. Start with one scripture if that's all you have. If you woke up every morning and prayed, "Lord, this guy is telling me to pray something everyday. 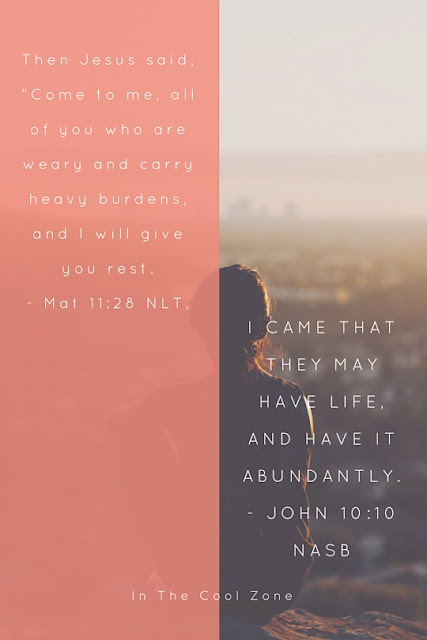 So I acknowledge you and remind you that Jesus wept," then you are off to a great start! :-) Start small and work your way up to the big stuff. When you are consistent with a small prayer list it will begin to grow all on it's own. What is the need right now? Write it down. Find a scripture or two to go with it. Boom! You're in the game! Write out your ongoing prayers just like you pray it. No need to quote the chapter and verse reference to God. Giving references is great for study but this is a conversation. You know the Word. God knows the Word. Just talk to Him. 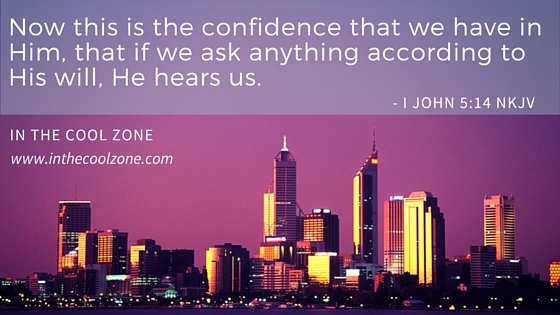 He hears you. 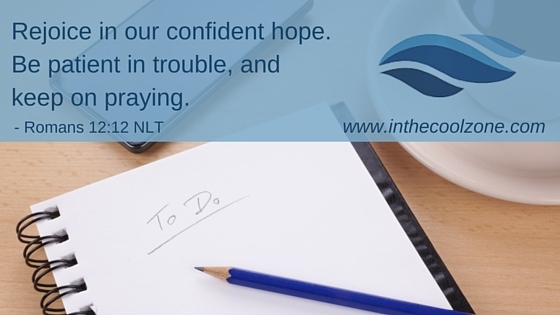 Schedule a reminder to do a monthly review of your prayer list. Take this time to reorder and organize your list so it flows like you want it to. Time it! 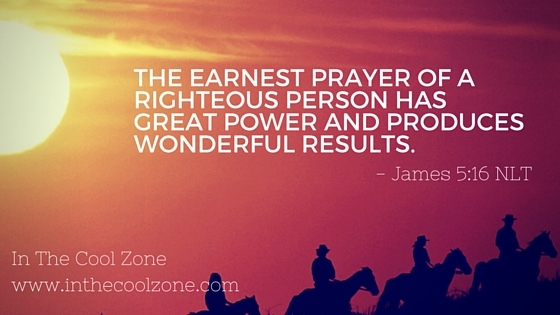 Find out how long it takes to get through your prayer list. Note your list at the 5 minute mark, 15 minute mark, 30 minutes, an hour? Sure! This will let you get the high priority stuff in when you have a busy day. If you have only 5 minutes now due to time constraints you know exactly what you can get in. Picking up later for the rest will be easy as pie! We cannot see the spiritual world that is pulled down around us but you must engage it. It is engaging us and if we do not participate it's like being tied to a chair for a boxing match. Does that sound bad to you? Uh, huh! God is always working and your opportunity to get in on it with Him is through your prayer. The Spirit world has a very malevolent aspect to it that must be engaged and decimated. Does that scare you a little bit? Well it should if you are not engaging. We approach God in prayer because we love Him and He has told us to. 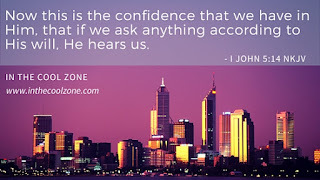 It is a chance to connect with Him and also accomplish His purposes. The benefit is that we get to know Him and become more like Him. We get to participate in His plan. We get to stand up for ourselves, our family and friends and others in ways that we otherwise can do nothing. It is the only way to walk in the Spirit. Jesus engaged the invisible God and the invisible enemy at every opportunity. When we take ownership of our responsibilities and act on God's Word, the Lord takes on a responsibility in this process. He has made promises that He will unfailingly accomplish on our behalf. 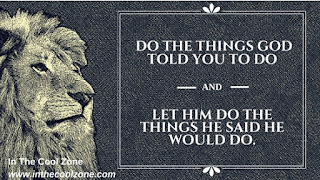 Do the things God told you to do and let Him do the things He said He would do. The second part can actually be more difficult than the first. Once we identify our tasks we can put them into perspective and get them done. The second part instructs us to go "hands off" and that can be scary when our faith has not been developed. When we bring our prayers, supplications and requests to our Father we are giving those things over to Him. Right on! Just like He has told us to do. Now let's trust Him. God has tasked us with working. When we need a job we give it up to the Lord in prayer and then we take the follow-up steps of faith. Worry incessantly. What? Wait! Whoa! The first four steps are true acts of faith. 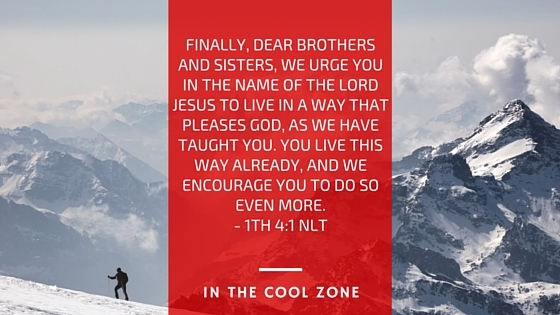 While we are taking these steps of faith we should be fully persuaded that our Father is doing His part. In this example, His part is getting you the job. You most likely weren't praying to get a great haircut. You prayed for a job. You weren't praying to get your suit pressed. You prayed for a job. How Do I Serve God? 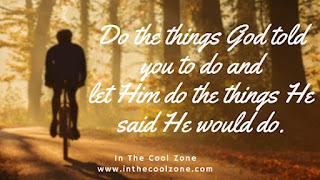 "I don't feel like I'm doing what God wants me to do. I would do what He wants but I just don't know what He wants me to do." 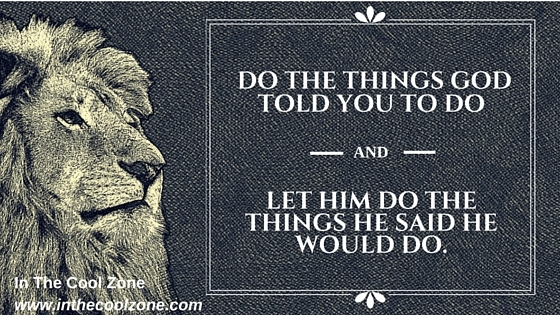 "Do the things God told you to do & let Him do the things He said He would do." Both concepts are extremely important. Often Believers struggle with these ideas and we fail to grasp where our responsibilities lie and where the Lord's responsibilities lie. Let's focus on the first half of the statement. We'll cover the last half in Friday's post. This is all doable. Even with our crazy schedules! 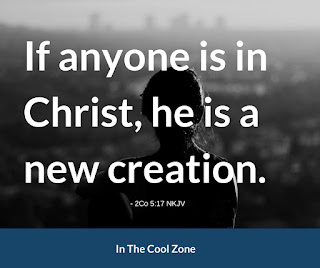 When we believe in Jesus and we take him as our Lord, the scriptures indicate that we become something new and different from what we were before. Note that even if you are new to the scriptures we have the Holy Spirit residing within us now. We have access to the same power that raised Jesus from the dead. So we don't need to out smart our old self. We do however need to put laser focus on our new abilities. So let's answer the question. 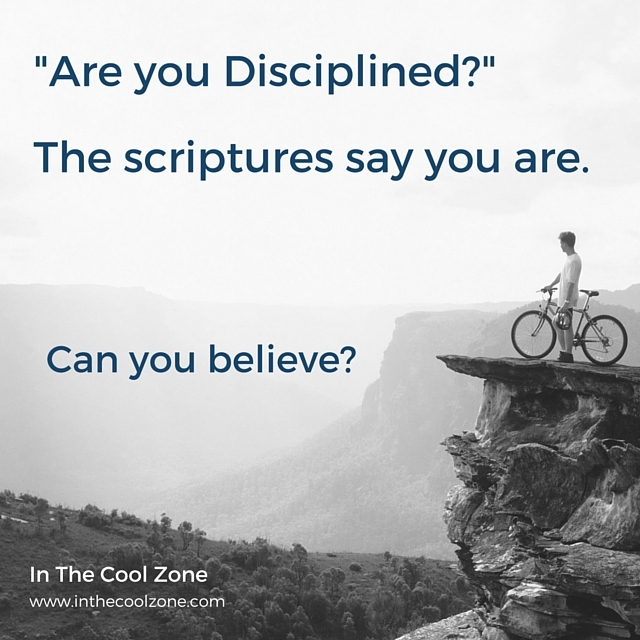 Are you Disciplined? 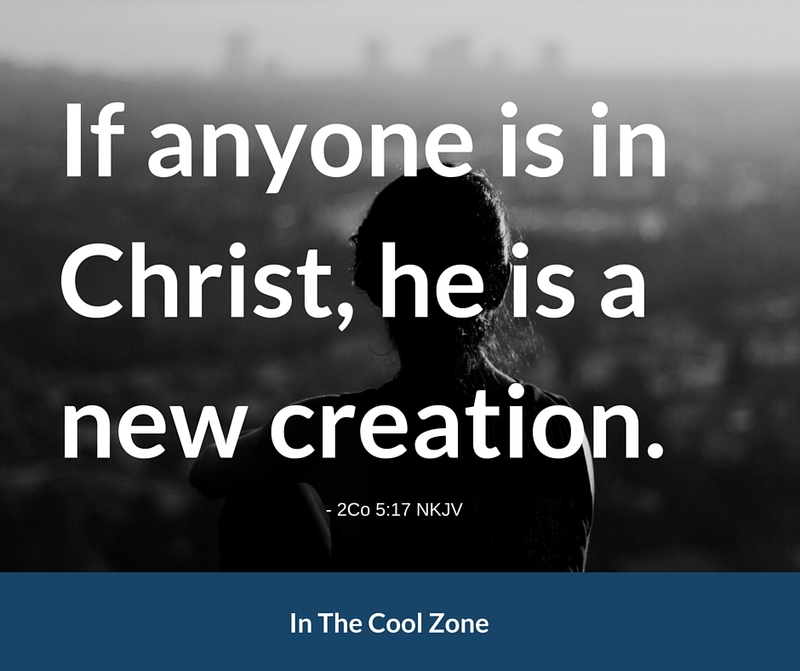 "You are a new creation." It shouldn't be. It cannot be! You are not the person that you think you are. Dig deeper. You are not the person that you once were. When you were born from heaven you became something new. You are now something else and to understand who and what you are you must learn what God's Word says about you, then seize it! It is common for Christians to be excited about their faith and desire to serve and please the Lord. However, for most, it isn't exactly clear WHAT God is asking them to do. To discover the solution we need to begin to line our perspective up with God's perspective. "I would do what God wants me to do but I just don't know what He wants!" This is a fair question. It's the right question! We also want to be sure we don't get down the road 20 years and still be asking it. So let's get it answered by getting our perspective in line with the Lord. 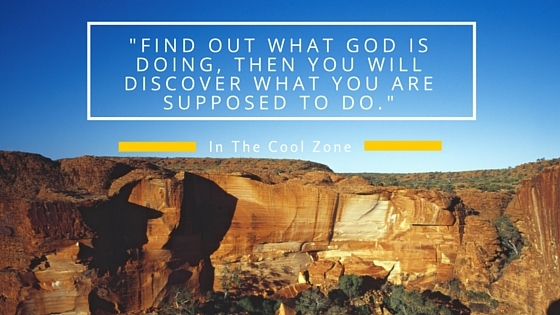 Find out what God is doing, then you will discover what you are supposed to do. When we were born into this world we came with a serious defect. That defect is called sin. Sin is in our flesh and we also experience it when we transgress God's law. It is the sole reason we are separated from God. Are you a good person? Well let's see. Have you ever stolen something, even if it is something small? Have you ever used the Lord's name in vain? Have you ever looked upon someone with lust? Jesus said, "anyone who even looks at a woman with lust has already committed adultery with her in his heart." Well we all have transgressed these laws and these are only four of the Ten Commandments. It is clear that we are sinners and we desperately need a solution to this problem of being separated from God. The God of the universe is a Holy God. He is perfect in every way. The barrier between you and Him is your sin. To come before God you need to be perfect. There can be no exceptions. So how then does one come to God? There is only one way to get to God. Someone needs to pay the price for sin. There must be justice, a reconciliation. Then you can have peace with God and come before Him without guilt. There is one person who has accomplished this. He is Jesus the Christ. He was perfect and he loved us so much he gave his life to purchase freedom for everyone. He gave his life to free us from every kind of sin, to cleanse us, and to make us his very own people, totally committed to doing good deeds. Therefore, choose God! He has made a way for you! 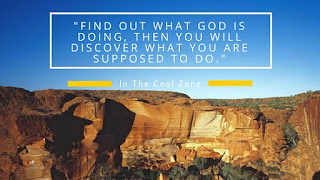 In Part 1 and Part 2 of our introduction to In The Cool Zone we presented what it means to be in the cool zone. We practice techniques that let us think in stressful or uncomfortable situations. This will minimize unwanted reactions and sets us up to use our mind. Now, let us talk about what our goals are once we get there. This work does not come naturally or without effort. However, I want each of you to know that you can do these things. Many may already be sharing the Gospel and teaching. Let's continue to build on the foundation we have and increase our effectiveness for the Kingdom of God.